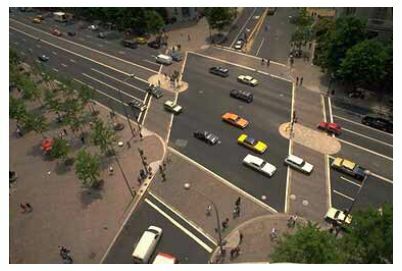 Purpose and design of crosswalks, curb ramps, technology, half-signals, curb extensions, pushbuttons, refuge islands, and roundabouts. Encourage crossing at intersection corners. 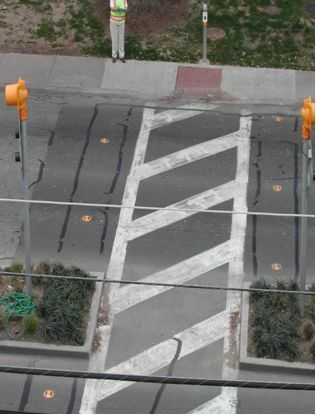 Make pedestrians visible to traffic. Make vehicular traffic visible to pedestrians. Ease movement to street level. –	Promote a connected pedestrian network. –	Improve visibility of a crossing place. –	Provide access for wheelchair users, strollers, luggage, handcarts, etc. –	Obstructions in or near the ramp. –	Provide visibility to crossing. 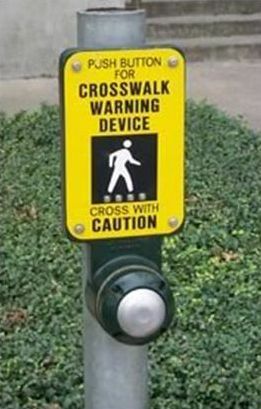 –	Encourage and assist pedestrian crossings. –	Which treatment to use (lighting, flags, green signs, flashing beacons, staggered pedestrian crossings, etc.) and where to use? –	Assist pedestrian crossings on high-volume, unsignalized intersections along arterials. –	If delay > 30 seconds, pedestrians will cross on their own. 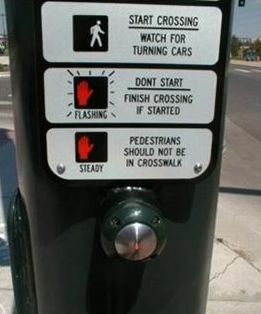 –	Adjust timing for pedestrian walking speeds. –	Place pedestrian signal heads on channelized islands. –	Provide audible signals where necessary. –	Shorten pedestrian crossing distance. –	Shorten pedestrian signal phase. –	Allow pedestrians to see the traffic better. –	Allow traffic to see the pedestrians. –	How far to extend into the street? –	Stop vehicular traffic and provide pedestrian crossing phase. –	Location (near ramps, in medians, etc.). –	Lights (like an elevator call button) to indicate actuation of the pushbutton. –	Quick response time to actuation. 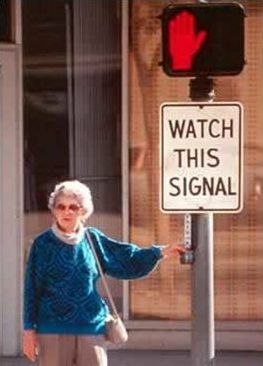 –	WALK/DON'T WALK signal phase timing. –	Provide a safe resting/waiting area for pedestrians. –	Allow pedestrians to cross only one direction of traffic at a time. –	Accessible path through island. 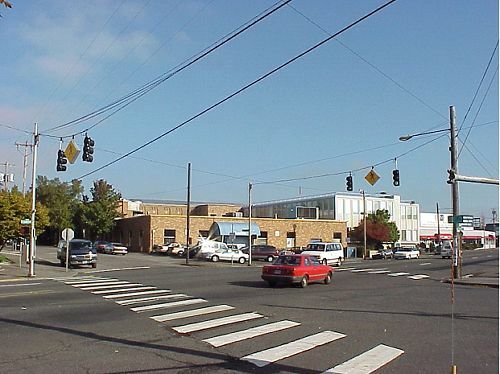 –	Offset crosswalks to orient crossing pedestrians to oncoming traffic. –	Minimum dimensions—1.8 meters (m) long by 3.7 m wide (12 feet (ft) long by 6 ft wide). –	Highly visible approach nose. –	Guide strips for the visually impaired. –	Reduce the number of conflict points. –	Shorten crossing distances and waiting times. –	Marked versus unmarked crosswalks. –	Accessibility for visually impaired pedestrians. –	Discouraging pedestrians from crossing to the center island. Pedestrians can be accommodated even at wide, high-volume intersections. 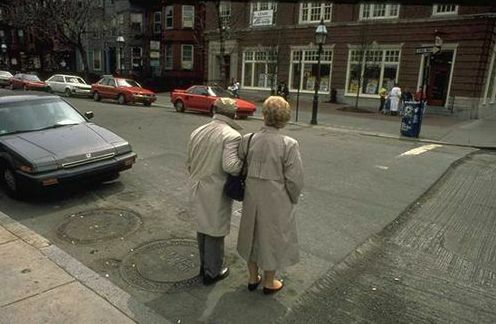 A wide variety of design elements exist to make good pedestrian design possible at intersections.